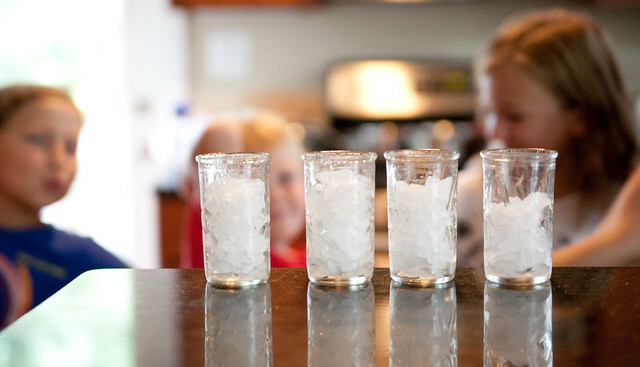 The shrub, the tangy syrup made from fruit that’s mildly fermented in vinegar, is usually mentioned as a cocktail mix, but it’s also great on its own mixed with seltzer water and lots of crushed ice. 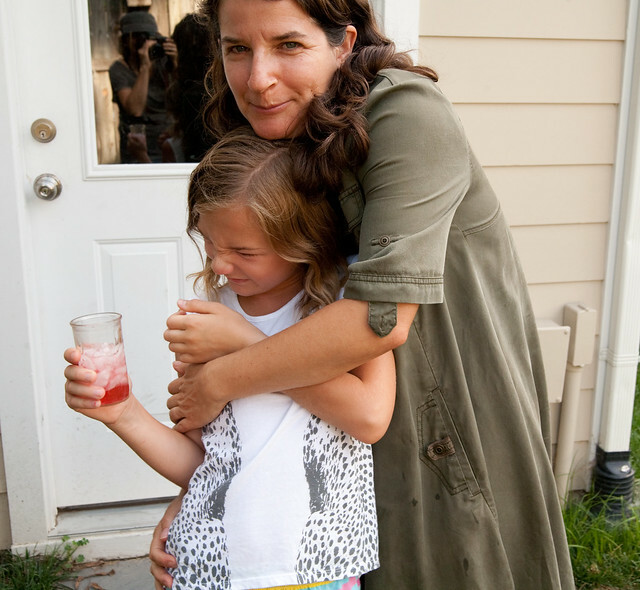 Justine and I made some with help from our kids and then offered them some refreshing mocktails to enjoy on a hot summer evening. 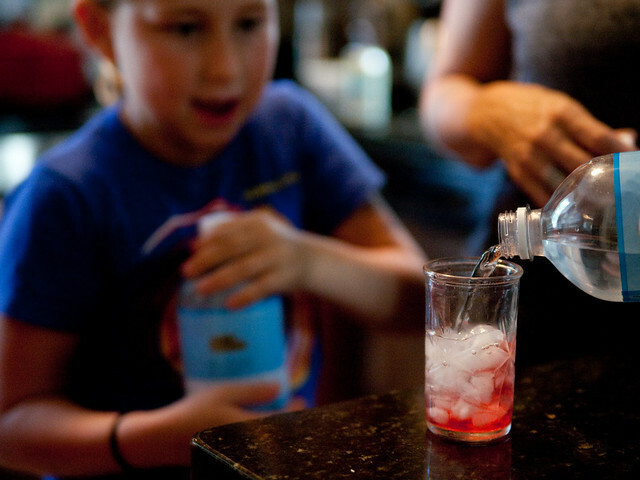 You can make shrubs a few different ways: Katie made cranberry shrub in one go, without fermenting the fruit. 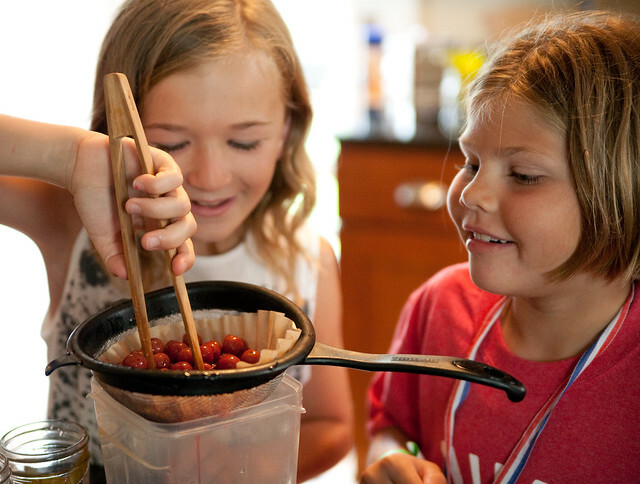 She made a strawberry shrub in a similar way. For our part, we made the shrub over two weekends. 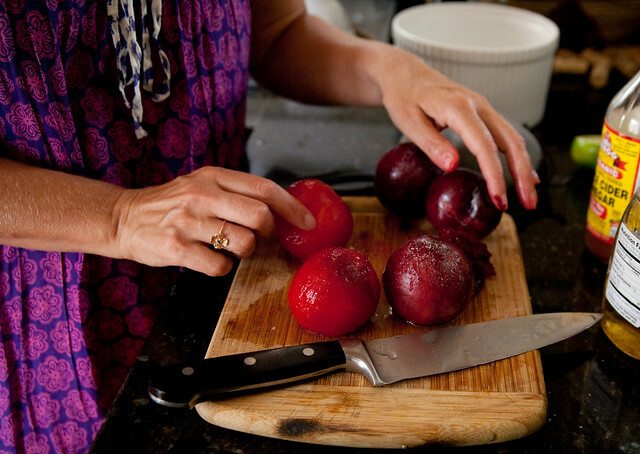 On the first day, we started with nectarines, peaches, and sour cherries I had been saving the freezer. 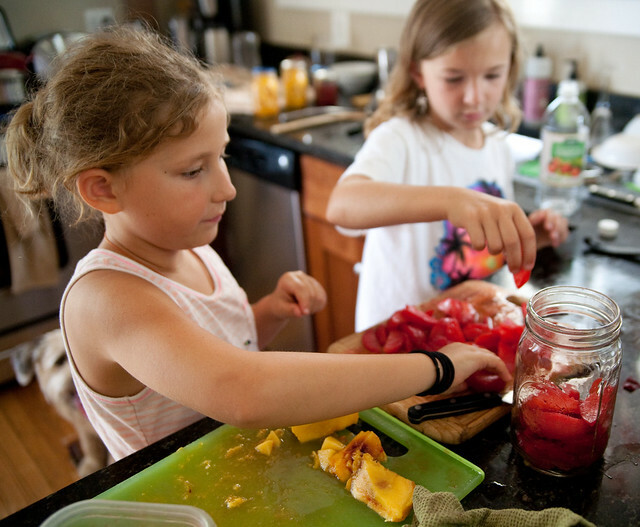 While sterilizing the mason jars, we peeled and sliced the fruit. Meanwhile, we heated up the distilled white vinegar almost to boiling and then filled up the jars with the hot vinegar just about to the top, wiped off the lids and capped the jars. This was a job for the grown-ups. Poured sugar into the fruit and vinegar mixture and brought it to a boil. Once the sugar dissolved, we took the mixture off of the heat and let it cool. 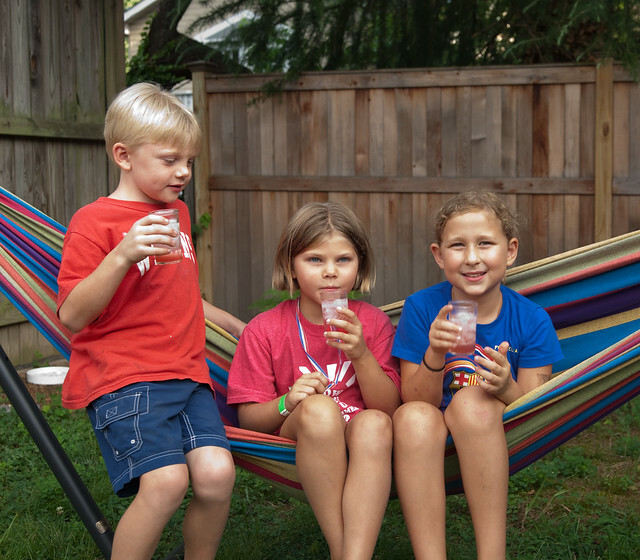 And then we filled up some glasses with crushed ice for the kids, then added some shrub of their choice (cherry or peach/nectarine) about 1/3 of the way, and the rest with seltzer water. They enjoyed it for the most part, although it was definitely on the sour side! The recipe we followed is from the kitchn. Sterilize the containers: Follow the instructions here. 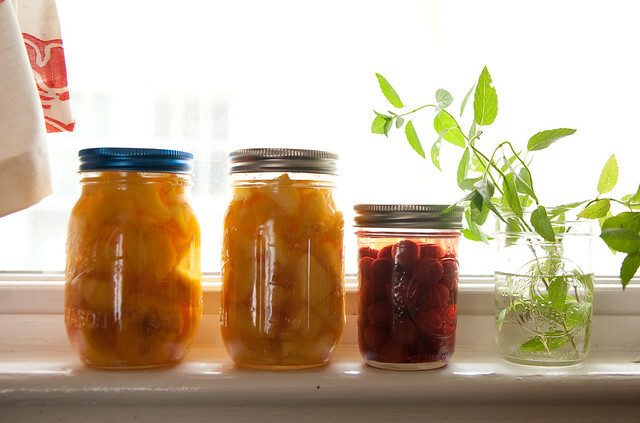 Add the fruit to the jars. 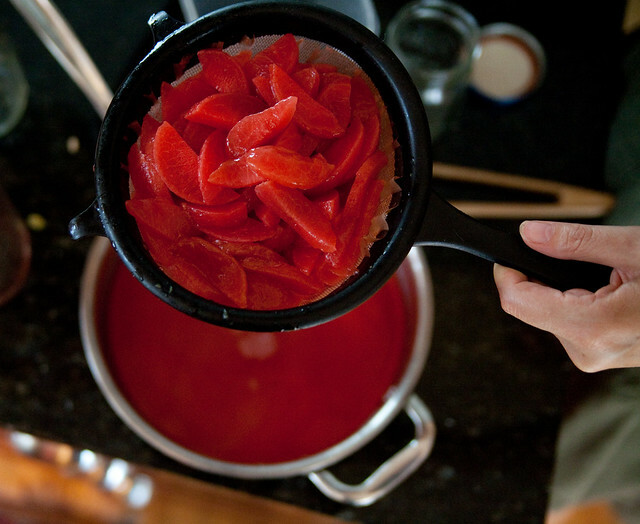 Heat the vinegar and add it to the jars. 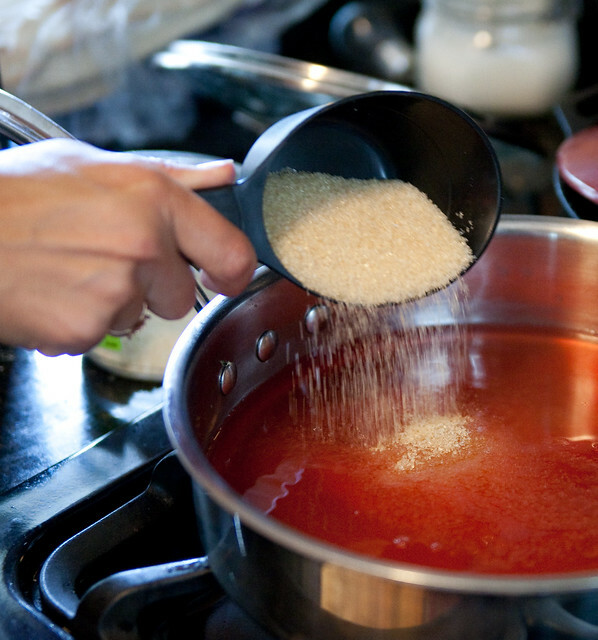 Place the vinegar in a saucepan and heat to just below the boiling point, or at least 190°F. 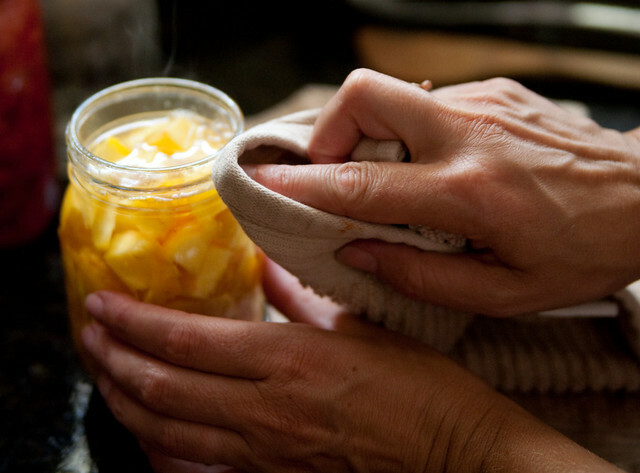 Pour the vinegar over the fruit, leaving at least 1/4-inch headspace in the jar. Wipe the rim with a clean, damp cloth, and cap tightly. 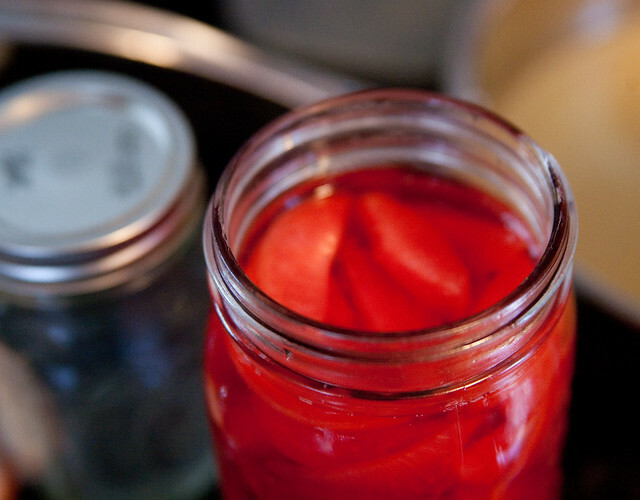 Let the vinegar cool completely and then store the jar in a cool, dark place, such as a cupboard or the refrigerator. Let it stand at least 24 hours and up to 4 weeks until the desired flavor is reached. 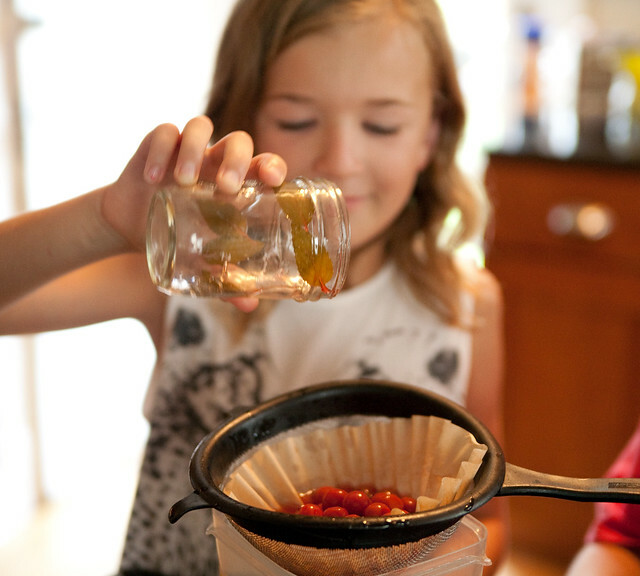 Strain the fruit from the vinegar through a damp cheesecloth or coffee filter. Store the shrub syrup in the refrigerator. Tightly sealed, it can last for up to 6 months. Taste before using to make sure the flavor is still good. Discard immediately if it has mold or any signs of fermentation, such as bubbling, cloudiness, or sliminess.